What activities we can offer you depends on the time of the year you decide to come. 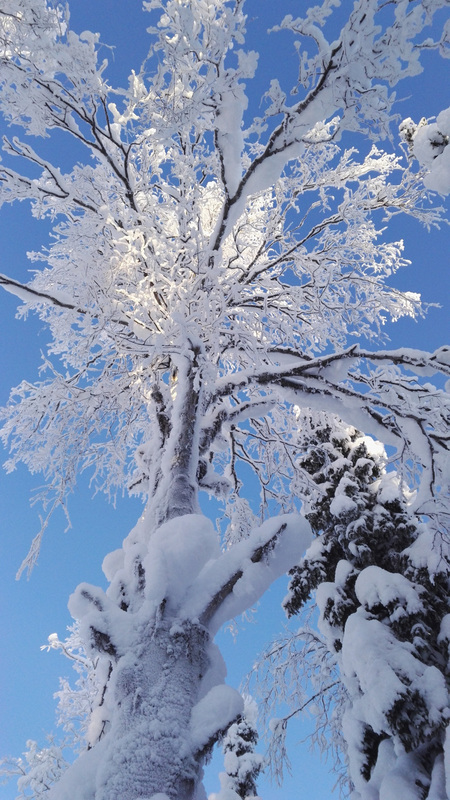 Most people come during the snowy period in search of winter wonderland. Between December and April you can be almost sure to enjoy all winter activities. 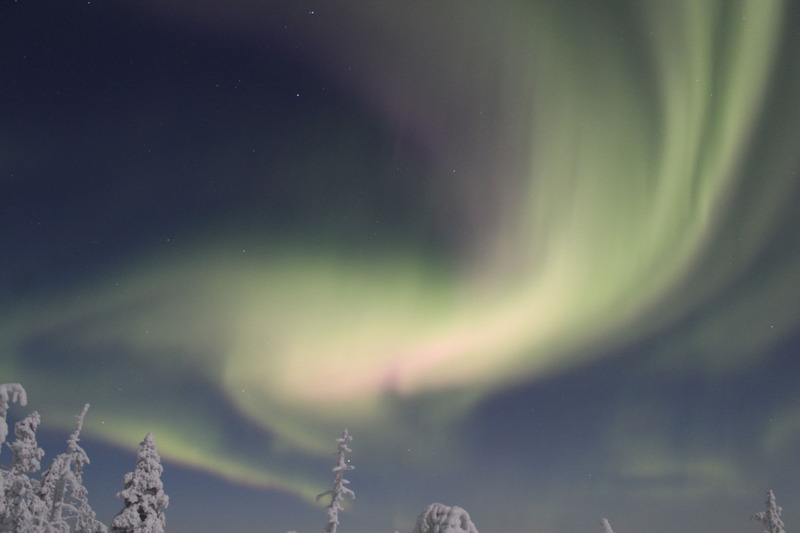 December and January are darkest months and can be cold, but long nights give one a more time to chase the auroras. The end of March offers long days possibly with proper sunshine and the end of April is when nights start to disappear. May is the cutest time of the year. New reindeer calves are born and you can come and feed them and their mothers at our farm. Once most of the snow melts we let the reindeer free. June is full of nature waking up and you can come and experience it. Our tours are hiking and beyond. 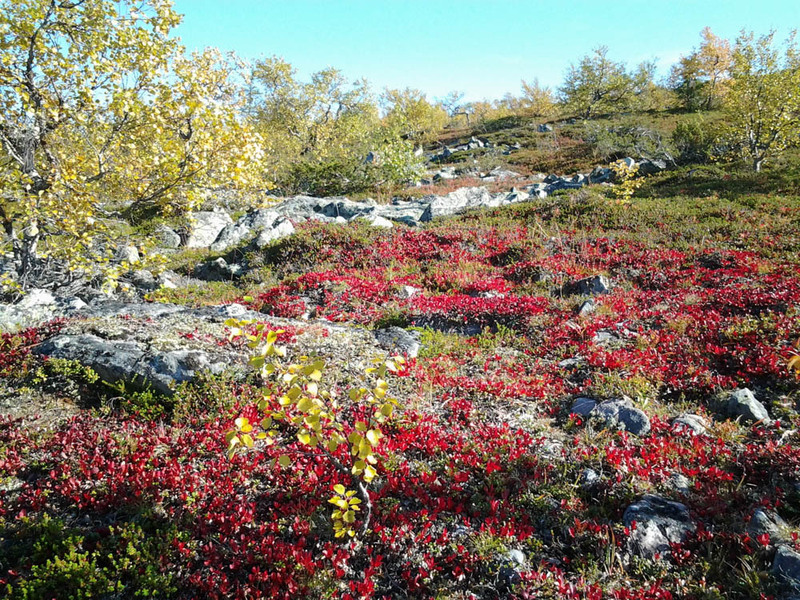 Another great moment to visit Lapland is in the autumn. Starting from end of August you can not only explore the nature hiking, but the nights start getting longer which again allows you to hunt for the Northern Lights. This time there is a chance for double auroras, that is seeing the great moment not only on the sky, but also reflected on the lake surface. Aurora paradise! 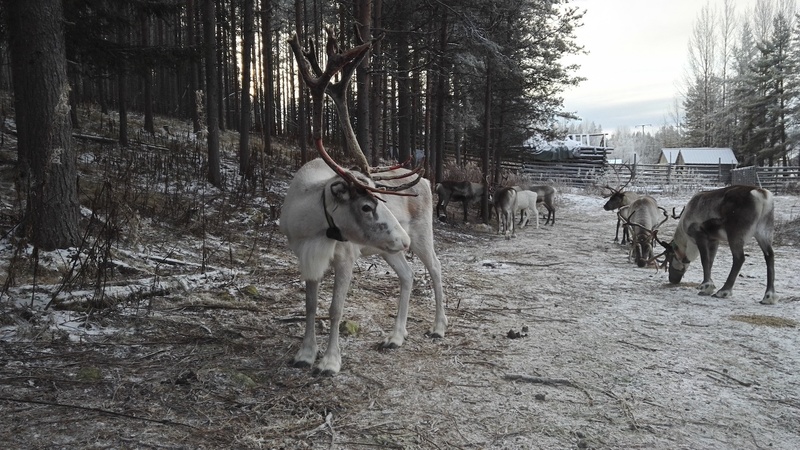 From the second half of October onwards you might get hands on reindeer experience. 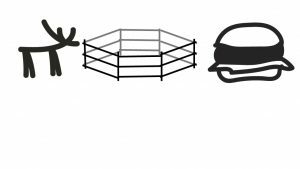 The reindeer round ups start and you can come to follow or even take part. Later our pulling reindeer start making their way back from the summer holidays and you can come and feed them with us. Once it becomes possible, often during the last week of November, the first reindeer rides start. That is how our life flows around here. DURATION: over 4 hours, often 4.5 hours. This is the most popular tour of ours. 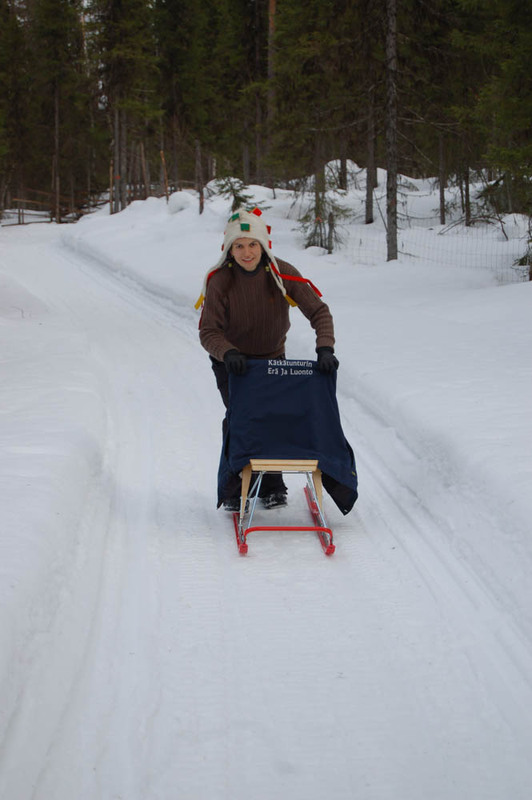 The 3km reindeer ride in snowy forest is split in half, one actually needs to get to the lake from the closest road. Be prepared to drive yourselves, we will explain how. After the hard work the reindeer will appreciate if you give them some food, lichen. That is the best time to take photos of them too. After warming up inside and having hot juice you will try ice-fishing at Wolf Lake. This is private lake where you can catch rainbow trout, grayling, perch, white fish or pike. 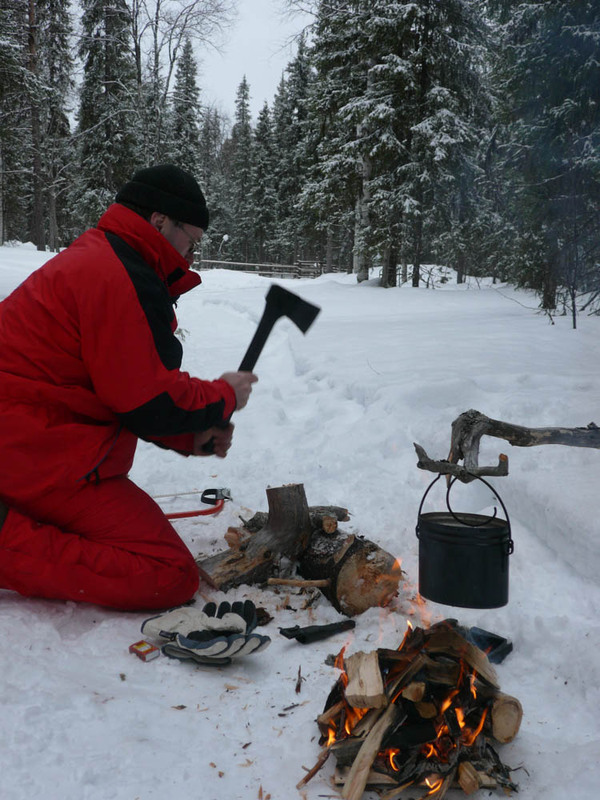 Later those who wish will explore the surrounding forest on snowshoes and when tired have salmon (or rainbow trout) soup lunch with typically Finnish rye bread while sweet bun with tea or coffee are for dessert. Your catch will be grilled over the fire and served to you. There is time to talk about reindeer husbandry and wildlife. To get back you will have a reindeer ride again. Those who successfully survive the trip will be awarded a reindeer driving license. The meeting point is our winter starting place at Kätkäjärvi (address: Kätkäjärventie 407, Sirkka). You can get there by taxi or your car from Levi center, it will take approximately 15 minutes. A 3km reindeer ride in a sleigh through magic forest. You can close your eyes and let the reindeer take you to the Lappish hut on the shore of Hukkajärvi Lake, where elk burger and hot drinks will be served. Searching for the Northern Lights is best done from the frozen lake in the middle of pure nature without any light pollution. 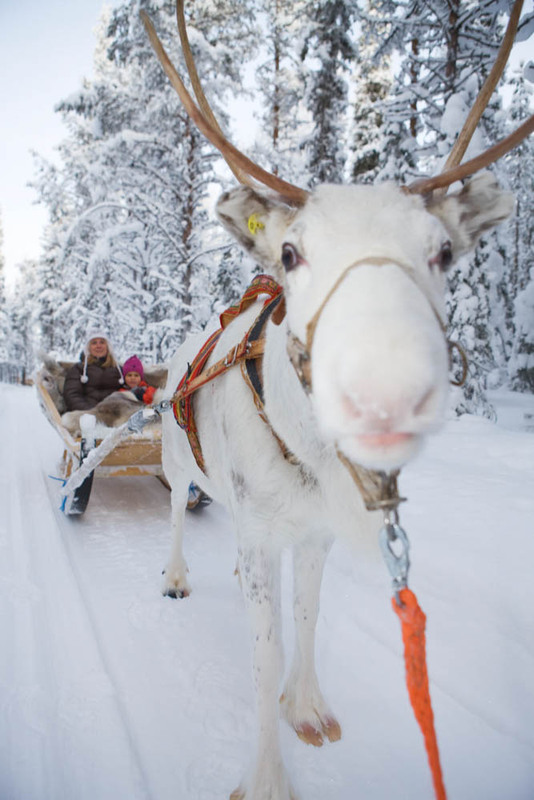 The participants will be awarded a reindeer driving license. PRICE: 75 € adults, 50€ children (6-12 years) Not suitable for children under 6. 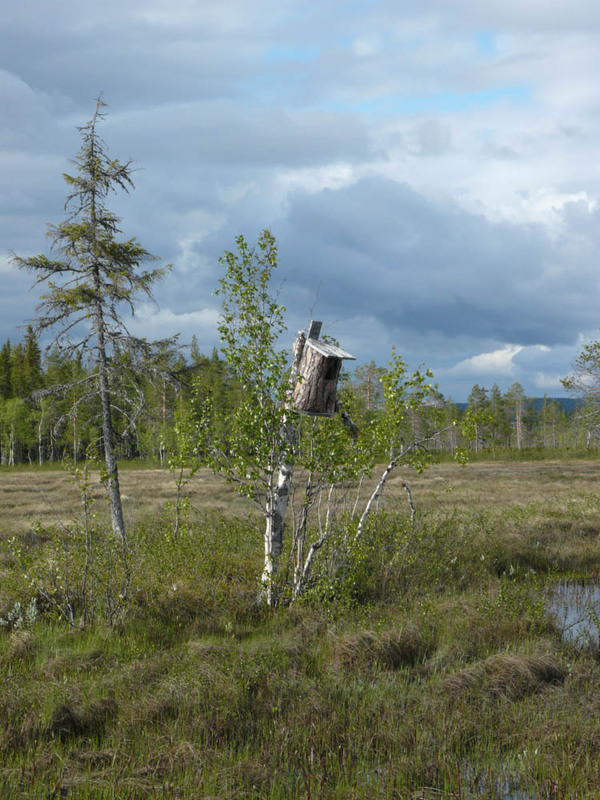 TYPE OF PROGRAMME: Come to admire the arctic nature to our forest in the middle of nowhere. You will be brought by a sled pulled by a snowmobile from the closest road. Then you will be given snowshoes and a little map with marked points of interest to look for. 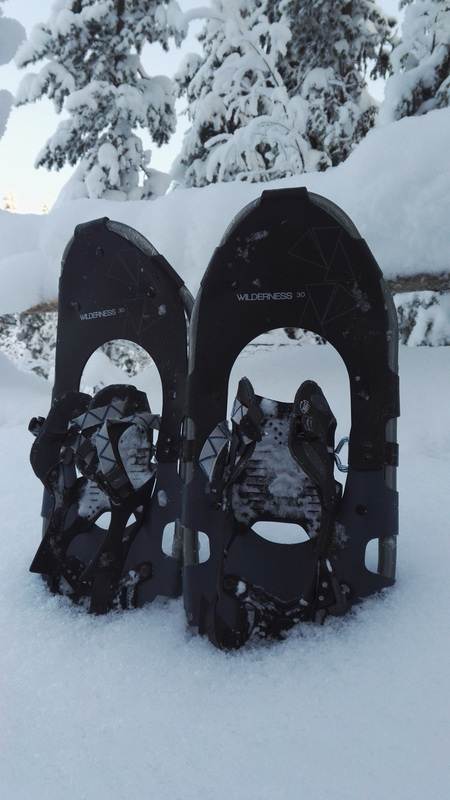 Snowshoeing is just as easy as walking. If you wish you can also use the QR codes that you find in the forest. You will learn about the plants` and animals` survival strategies in the harsh climate. At the end you will be served elk burger inside of the hut where you can ask more about what you have seen. If you prefer cheese instead of meat burger, indicate that when making a booking. There would be 45 minutes of snowshoeing itself and you will be going your own pace with your friends or family. The distance you will walk would be between 800 metres and 2.5 km, you decide. 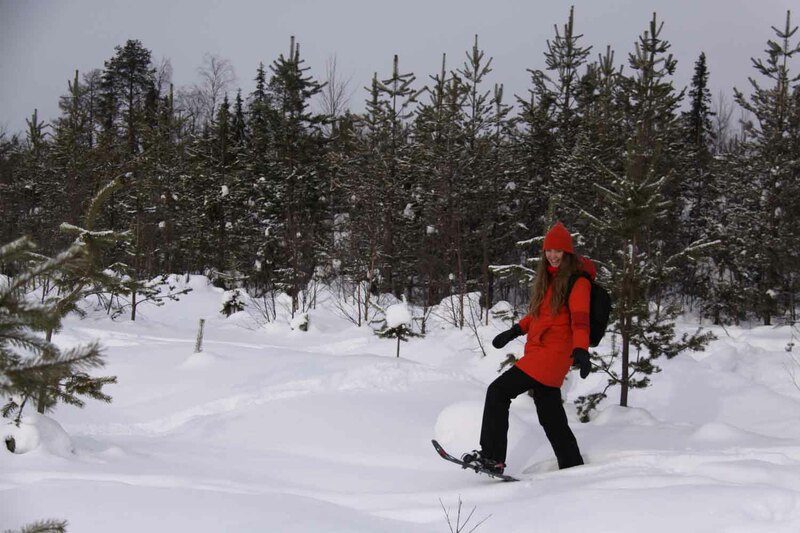 We will admire the snow covered forest and bog on snowshoes over a distance of less than 2 km. We will reach our Wolf Lake and start ice fishing. Typical catch is rainbow trout, however also whitefish and perch are common. Your catch will be grilled over an open fire in our Lappish hut and for everyone hot salmon soup or elk burger will be served with traditional rye bread. Decide beforehand and let us know when making the booking. Before heading back on snowshoes, again 2 km, we will enjoy a special coffee and a sweet bun. NOTE: Take warm clothes with you to put on for the ice fishing part. You will get warm and perhaps sweaty while snowshoeing. This trip requires basic shape. Too demanding for children under age 8. To get to Wolf Lake we need to follow a forest path for 1.5 km on our kicksled. Then we try our fishing luck on the lake. Typical catch is rainbow trout, however also white fish and perch are common. Your possible catch will be grilled over an open fire in our Lappish hut and for everyone hot salmon soup or elk burger will be served with traditional rye bread. Before heading back on kicksled, we will enjoy a special coffee and a sweet bun. 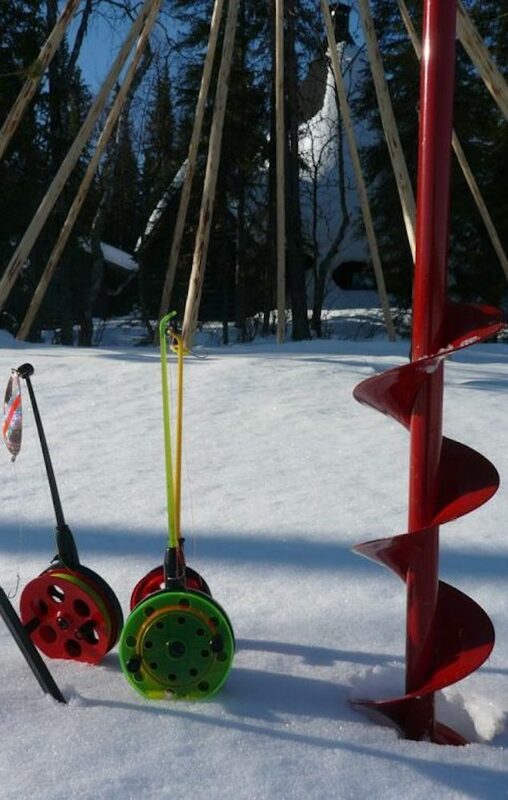 For those who do not like exercise or the reindeer and would like to come for ice fishing, this is the right option. You will be taken to Wolf Lake on a sledge pulled by a skidoo. Then you try your fishing luck on the lake. Typical catch is rainbow trout, however also grayling, whitefish and perch are common. Your possible catch will be grilled over an open fire in our Lappish hut. You will grill popular Finnish sausage and enjoy hot drinks and a sweet bun. If you want your group can alternatively select our specialty, an elk burger, instead of sausages. Inform us when booking which option your group prefers. Then it is time to return. PRICE: 100 € adults, 60 € children. Transportation from and to Levi (110km) is included in the price. searching for antlers that the females have shed off after having given birth, enjoying the views of Kumputunturi fell, possibly making a fire if the weather allows and grilling sausages and /or having tasty snack nearby. We might even stop at a round up fence on the way, if the weather allows. DURATION: 4 hours. The trip can begin after darkness has fallen and finishes before dawn. 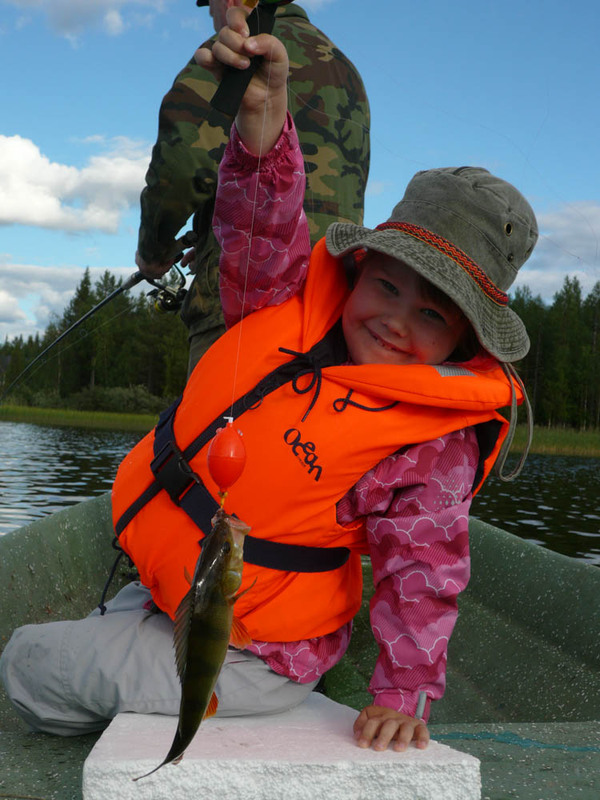 In autumn, we organize torch fishing trips on Wolverine Lake (Kätkäjärvi) a traditional way of fishing around here. When the autumn evenings grow dim and darkness falls, it is time to begin our torch fishing trips. You can lurk at the bow of the boat, spear at the ready, to pierce fish attracted by the beam of light from the torch. If you come with a friend you will take turns between the spear and paddle. Paddle is used to get the boat going not to disturb the water surface. After the fishing a night snack will be served. If lucky your fishing or snack will be accompanied by Auroras which should not be disturbed by any light pollution here in the middle of nowhere. 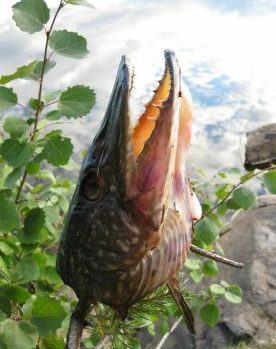 You can take your catch with you, most commonly it is pike. AVAILABILITY: 20th Aug – until the lake freezes (November). Requires a calm lake surface, impossible to organize in wind, fog or rain. Spend a different summer holiday near Levi filled with mainly nature minded activities. Full board at our wilderness hut. Watching wildlife right from your window or on the way to the outdoor toilet? Heating sauna with wood to get a proper wash. Getting tired from the amount of oxygen. Getting up according to the sun and not your watch. How long can YOU be without electricity supply? PRICE: 95 € adults, 60 € children (the longer hike is not suitable for children as their legs might be too short). Transportation from and to Levi is included in the price. Did you know what Finns call their own country in Finnish? “Suomi”, i.e. my bog, my wetland. This is your chance to experience some of the most beautiful views and interesting fragrances on foot with a guide in very unique environment. Those who have tried have never regretted although people might need to step out of their comfort zone slightly. Quite refreshing for hikers who have never done this before. Rubber boots are a must for the trip as there are no duckboards and the route runs through mainly private land which is especially rich in water birds. We will learn how to walk in the bog and later have a break at our hunting hut which is literally in the middle of nowhere. The trip will last more than half a day, but who would rush back from such a retreat place. The trip will look short on the map, but will feel like 10 km because we have to select the route carefully. Other shorter, less demanding trips are also possible. You can admire the beauty of the wilderness from June to September. If you wish, you can combine this trip with a fishing afternoon at our private lake or with a sauna evening in the wild. Ask for more details. 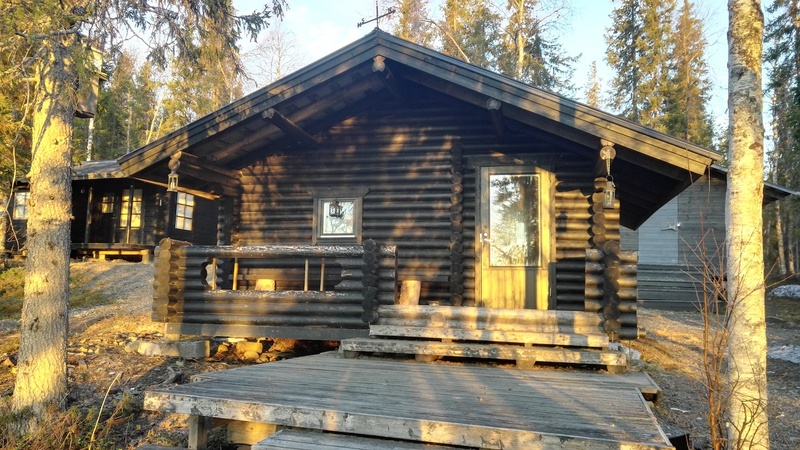 Transportation from Kittilä airport, activity equipment, meals, accommodation outside touristic areas (closest people 1.5 km away), sauna, services of the guide for every day are all included in the price. You choose what experience you want, just let us know your interests and physical shape. Transportation from and to Levi (110km) is included in the price. 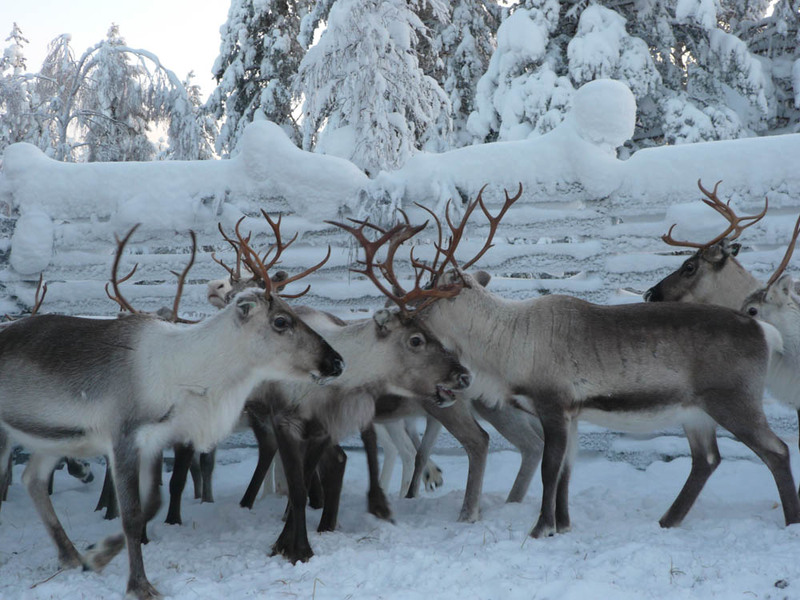 TYPE OF PROGRAMME: We will spend the day getting to know the life of the reindeer. We will first visit an old round up corral with reindeer herders` hut. Then we will drive to the root of the fell and make a climb to the top or only to the hut just above the tree line. We can grill sausages or reindeer ribs or taste elk burger while admiring the views. On the way we will see different types of forest, perhaps some birds and droppings of other animals too. If lucky we might possibly see a reindeer herd with some of our reindeer. You can take part from June till September. NOTE: Dress according to the weather, do not underestimate the wind. Did you know what Finns call their own country in Finnish? “Suomi”, i.e. my bog, my wetland. This is your chance to experience some of the most beautiful views and interesting fragrances on foot with a guide in very unique environment. Those who have tried have never regretted although people might need to step out of their comfort zone slightly. Quite refreshing for hikers who have never done this before. Rubber boots are a must for the trip as there are no duckboards and the route runs through mainly private land which is especially rich in water birds. We will learn how to walk in the bog and later have a break at our hunting hut which is literally in the middle of nowhere. The trip will last more than half a day, but who would rush back from such a retreat place. The trip will look short on the map, but will feel like 10 km because we have to select the route carefully. Other shorter, less demanding trips are also possible. You can admire the beauty of the wilderness from June to September. On the shore of a private Wolf Lake, you can enjoy a three-course meal in peace. Be ready to be disturbed by a sudden call “There they are! 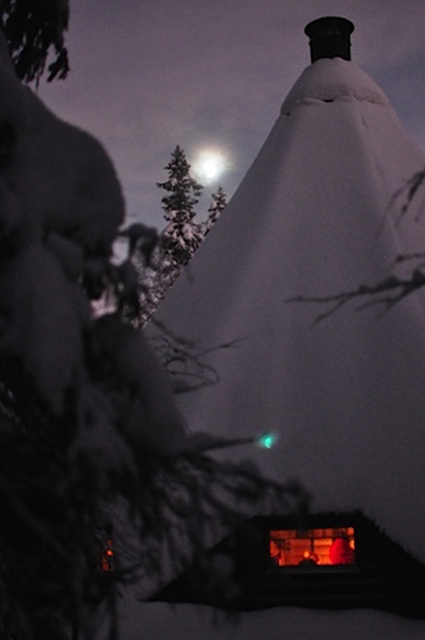 The Auroras!” The hut is situated 15 km from Levi centre. That is why on a clear night you have a great chance to see auroras reflected on the lake surface. No light pollution apart from some candle light inside the hut. In between the courses while waiting for the Northern Lights you can get acquainted with reindeer life. The price includes a starter, main meal and dessert according to what is available in the season. Equipment: warm clothes and shoes (if there is lots of snow, for example in November we travel the last 1,5km from the closest road to the venue on a sled pulled by a snowmobile). PRICE: 110 € adults, 75 € children (8-12 years of age) not suitable for younger children because of the possible harsh weather conditions. Transportation from and to Levi is included in the price. This is where you can see hundreds of reindeer on the same spot and take pictures of them. We will drive from Levi to the round up fence; the return trip will be around 150 km. We will spend the whole day outdoors, although in some places there is a reindeer herders` hut. We will witness how reindeer are driven first into the holding pen, then to the churn in several goes and finally they are caught either by hand or lasso and placed into offices depending on whether they will be released or utilized. As many may have idealized reindeer we may avoid situations where they are slaughtered although that is ultimately their destiny. 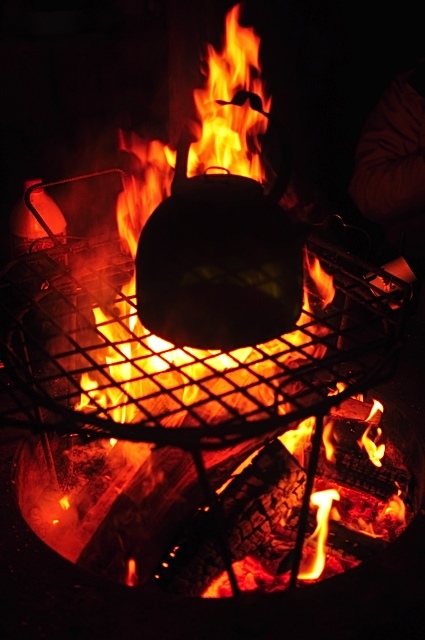 During the day we will find some time to have a break to grill sausages, eat sandwiches and enjoy some hot drinks. When all of the reindeer have been caught, you have taken photos and tried out what we do, we will head back. You will be given a small present to remind you of the experience. PRICE: 90 € adults, 60 € children (4-12 years of age) Transportation from and to Levi is included in the price. If you visit Levi between October and November, there is not enough snow to organize reindeer rides. If you would still like to meet the animals and our trained pulling reindeer have already returned from their summer pastures, you can come and assist us when feeding them with help of a quad bike or snowmobile. Seeing many people would frighten them, that is why only small amount of people come join us. On the way to our enclosure, which is some 60 km from Levi, we can stop at a traditional corral fence and talk about reindeer and their life round the year. When we get to our enclosure you can take photos and videos of the reindeer while we feed them. During trip we will find some time to have a break and eat sandwiches, pies and enjoy some hot drinks. You will be given a small present to remind you of the experience. In the wilderness landscape of Lake Hukkajärvi we organise a mock wilderness skills competition. 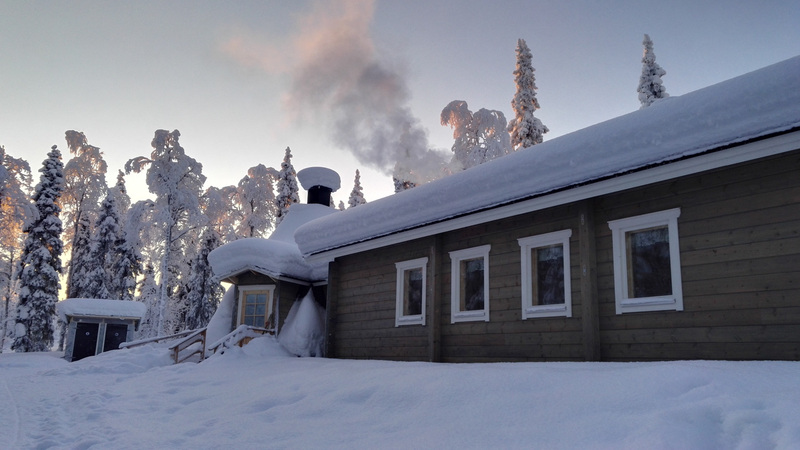 The activities are the demanding tasks needed to survive in the Lappish wilderness, of which you may select the most suitable and apt choices for your group and the weather. Alternatives include skiing, lighting a fire, archery, shooting from an air rifle, hurling a lasso, harnessing a reindeer, estimating distance and nature questions. During breaks in this friendly competition, you might even learn something new from our reindeer herder. After these mock games, nobody’s brow will be furrowed, even though you are competing for the title of ‘Wilderness Master of the Year’. Price includes organised games (5 disciplines), coffee and bun and awarding prizes. AVAILABILITY: all year round (not btw. 24.12.-10.1.) Takes place at Hukkajärvi Lake. Between June and September the place can be reached by cars or mini buses, when snow comes, one needs to take a sleigh (pulled by snowmobile, for example), snowshoes or rent a snowmobile (there is a wide selection of rental companies within Levi. All food allergies need to be informed of ahead of time (preferably 2 days beforehand). Our menu is built around local ingrediencies as much as possible. The elk, reindeer or berries in lingonberry jam or pie would be from spitting distance, if only possible. Reduced price is for children under 12 years of age. Cancellation fee is 30 euros. Cancellation more than 30 days prior the tour 100% refund –cancellation fee. Cancellation more than 15 days prior the tour 50% refund –cancellation fee. Less than 15 days prior the tour, no refund possible. Consider taking travel insurance in case of sudden illness or similar. Come prepared for winter conditions with warm winter boots that have enough space for your socks, woolen socks (possibly knitted), mittens (not finger gloves, please) and warm under layers that should be preferably wool, fleece or similar. Try to avoid cotton as it retains moist and makes you feel cold. The outer layer should be weather proof. 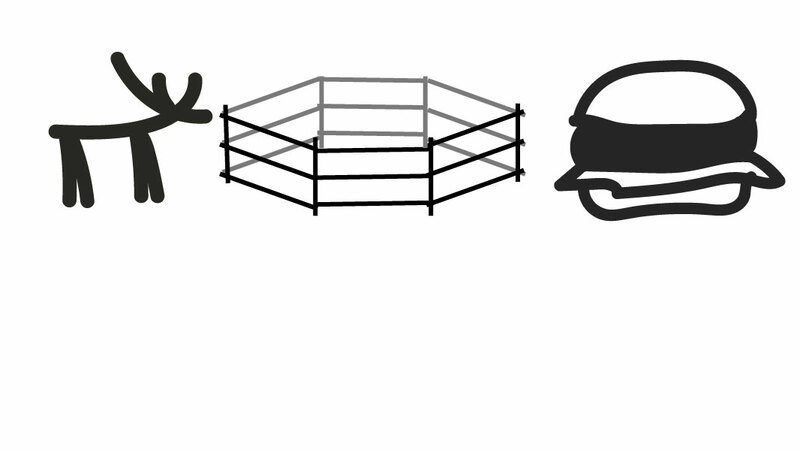 Do not forget to bring a hat. If coming for example from warm regions and do not wish to invest money into equipment you will never use afterwards, there are places where you can rent such gear (excluding thermal underlayers), one of them being snowmobile rentals in the center of Levi or at Kittilä airport. Please let us know of all relevant food allergies when making the booking or latest 24 hours prior the tour. Our fish soup is either salmon or rainbow trout soup. Please note if allergic to either of these and inform us. Our tours are held in English. If you wish to be guided in Finnish or Russian, please let us know ahead of time. The most basic information (safety/driving instructions for reindeer ride and ice fishing) is available in writing in French and Spanish, however, our guides do not speak those languages at all. If booking a reindeer tour inform us ahead of time of any relevant health limitations (e.g. broken arm, undergone back surgery etc.) that shall be taken into consideration when selecting suitable animals for you and your family. Although each reindeer departs individually, we put an emphasis on safety and try to find a perfect match for you and your reindeer. Unsure what season is best?